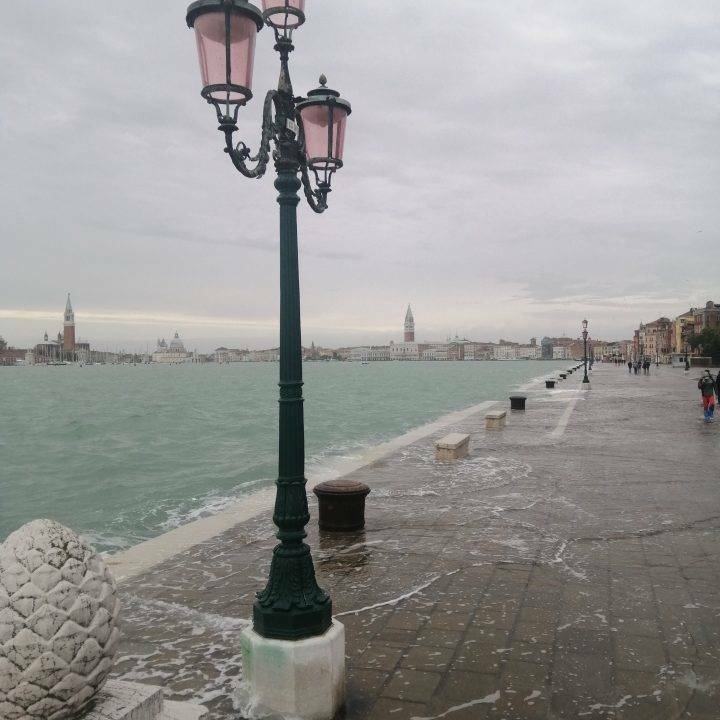 You will so often hear Venice referred to as a Women. The soft sounds of the water, the tricks and surprises that lure you teasingly down alleyways, and quite simply the beauty. However, this does not come without her strength and intelligence also. For so many years, the strength of Venice was considered its formidable Naval power and the intelligence, the innovative production line of these vessels. Thus it is strange we talk so little about the Arsenale, the site responsible for cultivating all of this power. During the middle part of the millennium, Venice dominated the Mediterranean and by 1450 over 3,000 Venetian Merchant ships were in operation (a staggering figure when you think of Venice’s size). 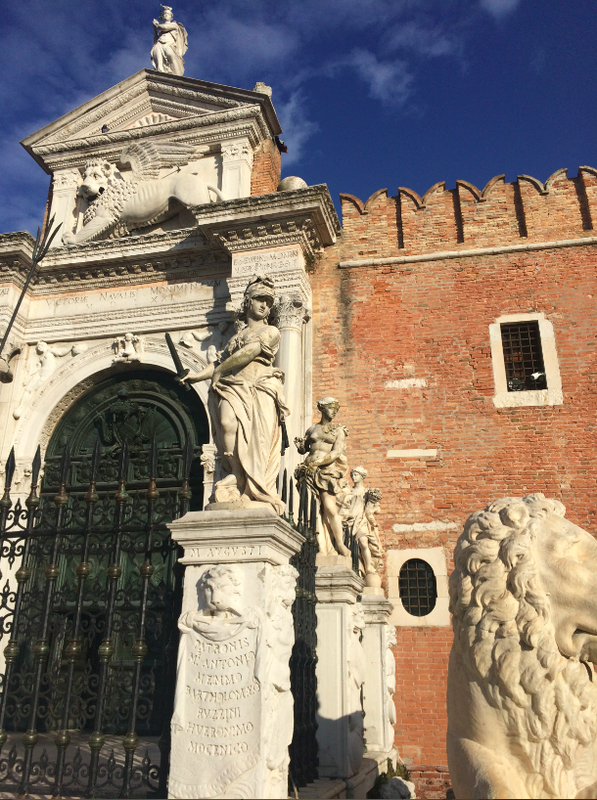 Crucially, this strength allowed control over trade, and the results are what we see in Venice today. The Grand Palazzos, frescoed ceilings, and rich culture were all made possible by the profits of the sea. 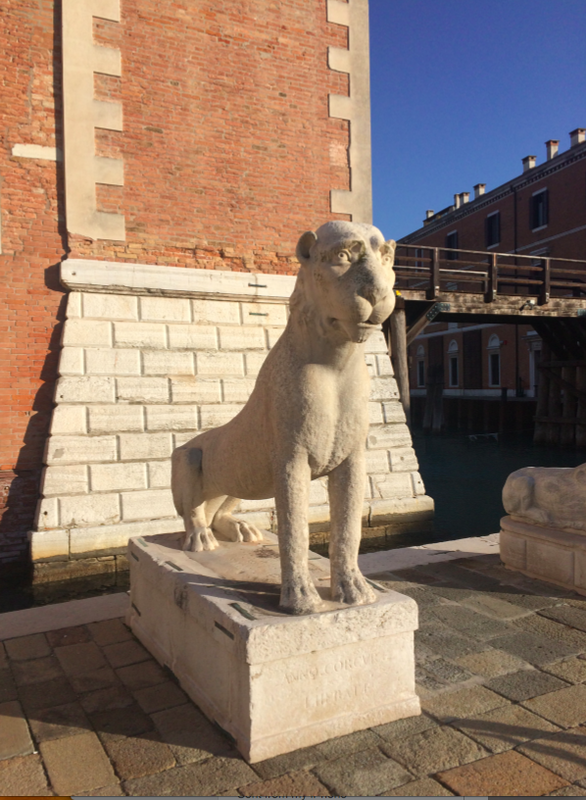 Usually, it is said that the Arsenale existed from 1104, with the initial purpose of housing and maintaining privately built naval ships. However, upon the construction of the Arsenale Nuovo, it enabled all the state’s navy and larger merchant ships to be maintained in one place. Along with this, other important centers such as rope manufacturing and housing for Arsenale workers were included. 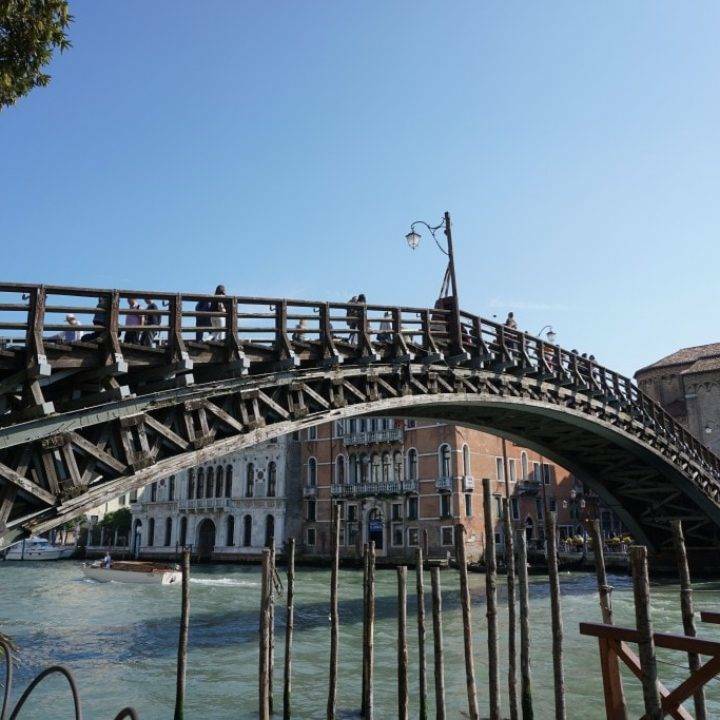 This was no mean feat when you consider that at one point there were said to be 16,000 people working and living within the Arsenale walls. This army (the Arsenalotti) of workers along with the revolutionary production line, meant that at the height of its functioning the Arsenale was yielding ‘one whole ship per day’. The wood was sourced from an exclusive forest, owned by the Arsenale Navy, in the Montello hills area of Veneto. 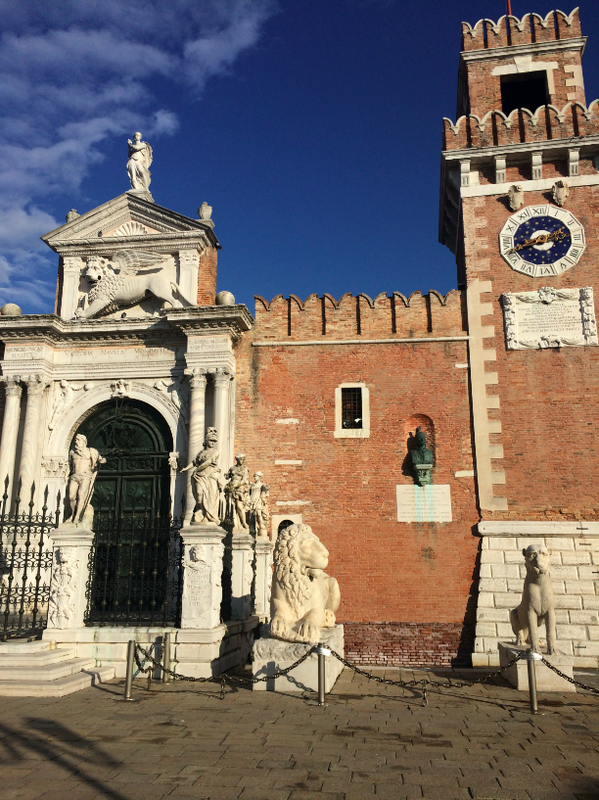 The entrance, which was one of the first examples of Renaissance design in Venice, was completed in 1460 and became a sort of memorial after the victory against the Turks in 1571. The statue of Santa Giustina was placed on top to celebrate the day of victory. Later on, after the conquest of Athens in 1687 by Admiral Francesco Morosini, four lions were added and 8 Greek mythological figures. Just in this evolution of design, you can begin to understand how the Arsenale has always been a figure head for Venice’s naval power. As with everything in Venice there is more than meets the eye here, and it is worth taking time just to appreciate each sculpture. The lion situated on the far right is a Greek sculpture that was stolen by the Venetians from the Island of Delos and can be dated back to the 6th Century BC. The Greek figures are mostly identifiable through their various symbols, however, the sculpture at the back on the left is still yet to be satisfactorily identified. (any further information on this point would be greatly appreciated). 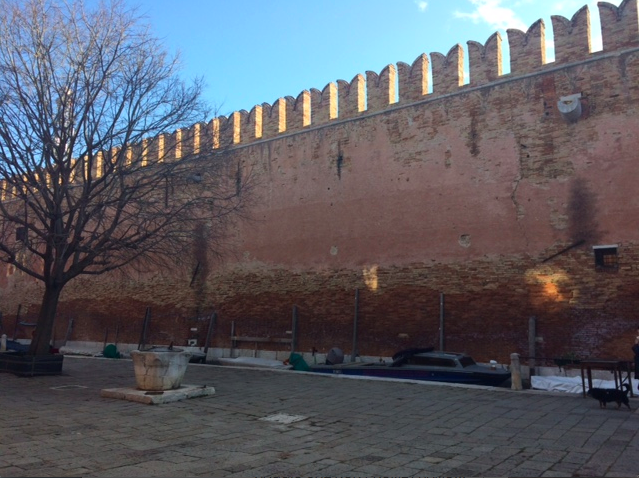 Today, it happens frequently that those who have ventured off the beaten track are taken by surprise when confronted with the looming wall of the Arsenale. Arriving from Castello, it seems oddly out of place amongst the quite houses. However, there is something impressive as well that makes you desirous to learn more, as you feel you have uncovered an important albeit less aesthetically conscious element of Venice’s pastApart from standing on the bridge, or the lesser-known view from the Fondamenta Nuova, the Arsenale remains a secret to most of us apart from a few days in April (24th-25th) and during the Biennale. One can only yearn longingly and imagine what it may be like inside. 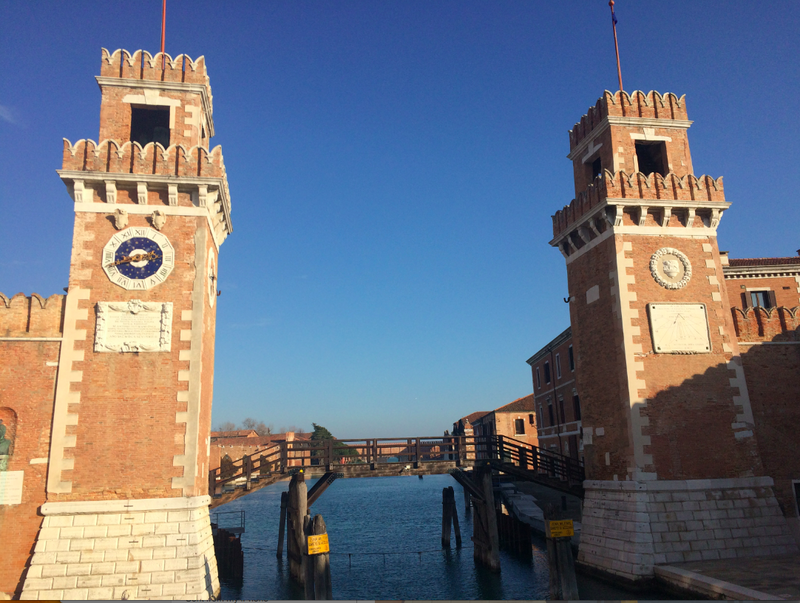 Alternatively to learn more about the history there the Naval Historical Museum at the foot of the Arsenale bridge. The term “arsenale”, in use in modern Italian, comes from the Arabic Daras-sina’ah, meaning “house of industry”. 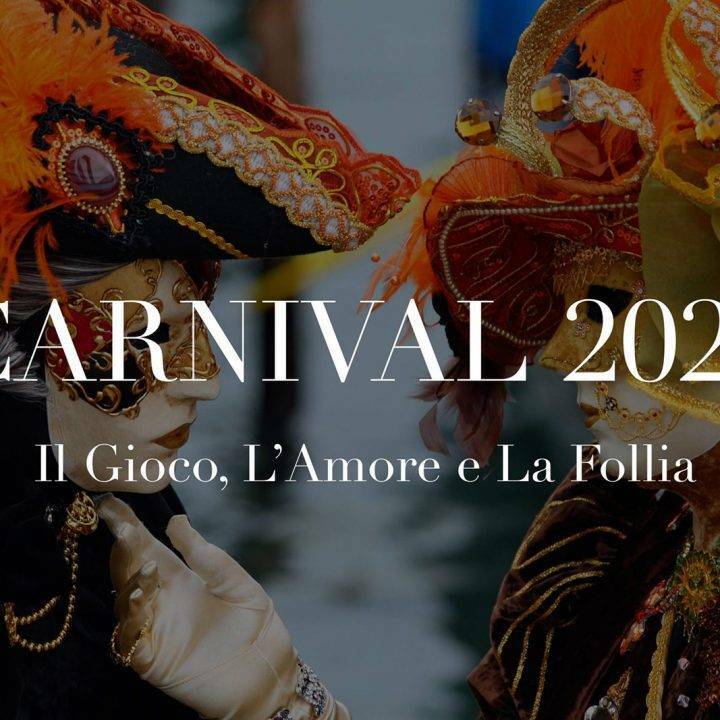 The term, known to the Venetians through their frequent commercial contacts with the Orient, would be passed to the Venetian “darzanà”, later corrupted over time in the form “arzanà”, also mentioned in Dante’s Inferno, then, through “arzanàl” and “arsenal”, the final form of “arsenale”. The term “darzanà” and then “darsena” has instead remained to indicate the Arsenale on inland waterways, and from such use is derived the current meaning of the term dock.